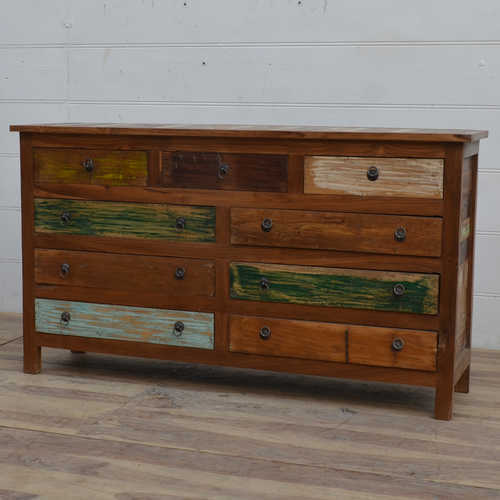 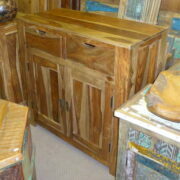 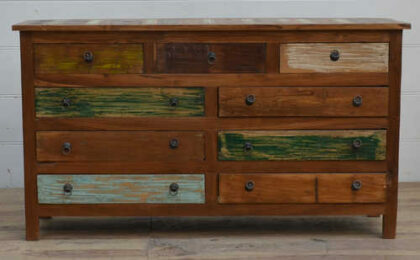 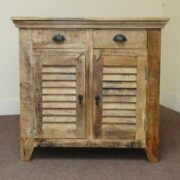 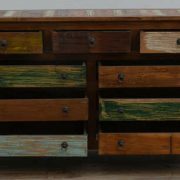 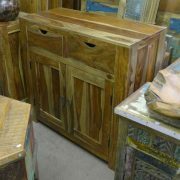 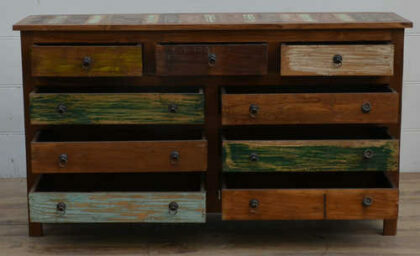 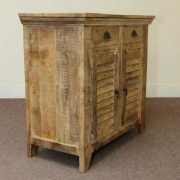 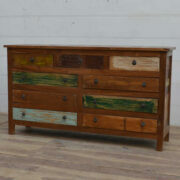 A most stunning and unusual 9-drawer reclaimed sideboard with a mix of colours and natural wood tones . 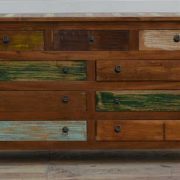 Constructed from native Indian hardwood, this extraordinary sideboard has the unusual element in it’s layout – with 3 upper drawers and 3 pairs of longer drawers below, adding to it’s striking look. 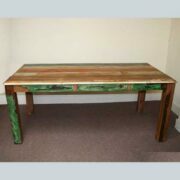 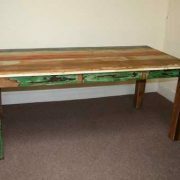 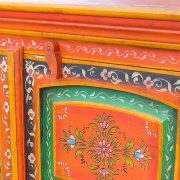 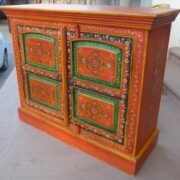 This item of furniture was made in Jodhpur by a team of highly skilled artisan’s and bring’s both a practical use and colour into the home.